SafeFood has, as part of its all-island legislative remit, the obligation to promote awareness of food safety issues amongst consumers and those professionals with a responsibility for food safety within the food supply chain. Professor Chris Elliott OBE, Pro-Vice Chancellor Queen’s University Belfast. Food safety is critical at all stages of the food chain – from farm to fork. Food safety is one of the central pillars on which the reputation and sustainability of the agri-food sector is built. It is a key element that underpins food production ensuring that consumer expectations are met and that the highest levels of public health continue to be assured. To advance food safety along the food chain, established a collaborative programme called the Knowledge Network, which is a professional networking platform for those working or having responsibility for food safety on the island of Ireland. The network facilitates the sharing of new research, best practice and all island networking through conferences and training. The Network takes a strategic approach to applying science based knowledge to current and emerging issues across the food chain. Through a variety of partnerships and joined up government working, the Knowledge Network has attracted more than 2,800 members who have benefited from the various services provided. To help us achieve our goals, in 2016 we assembled a group of experts from industry, research and public health who strategically lead our network, guiding activities and advising on required training and supports, new services for members, and providing insights around both existing food safety risks and emerging issues. 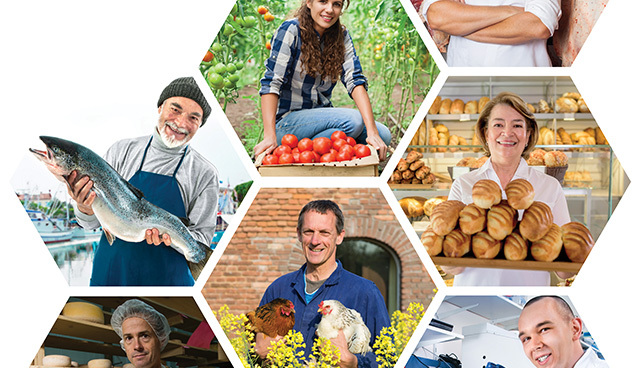 Membership of this all-island Knowledge Network is free and our members include vets, environmental health officers, lab personnel; national food regulatory agency, public health and agriculture personnel; food safety researchers and trade representative bodies; as well as personnel in the food supply chain across primary production, processing, distribution, retail and catering. The Network assist these professionals to meet new and emerging challenges with an overall aim of ensuring that consumers can continue to have confidence in the food they eat. Membership is also open to anyone with an interest in food safety working across the entire agri-food sector. In 2018, the Network will continue to keep members up-to-date on food safety issues and trends. With the support of the Expert Group, this all-island initiative will ensure members have access to the very latest developments in food safety as they emerge.